The tiny island of Slotsholmen has been home to a Copenhagen castle or palace for over 800 years. 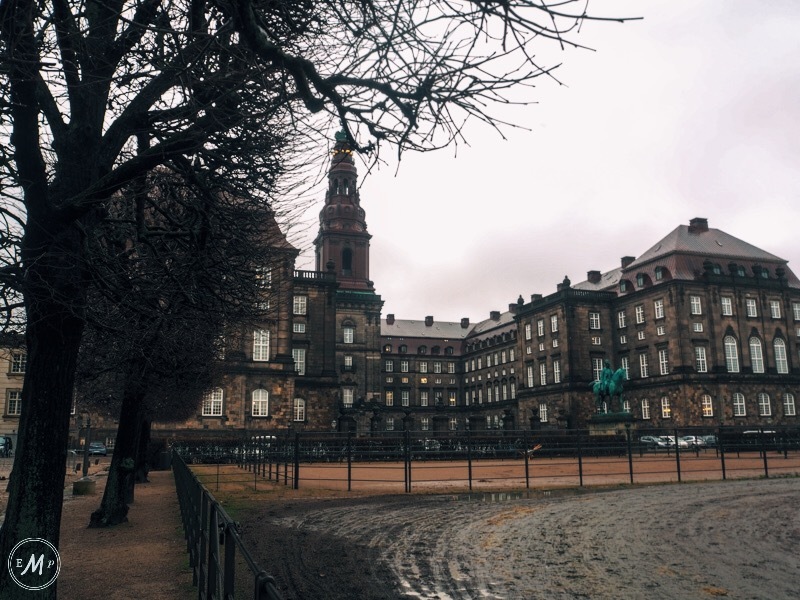 The modern-day Christiansborg Palace was constructed in 1907 after a horrific fire burnt down its predecessor. Although the Danish royal family relocation to Amalienborg Palace in 1794, reception rooms at Christiansborg Palace still provide the backdrop for many royal functions and events. More than this, the palace has been home to the Danish Parliment and the countries Supreme Court since the early 1800’s. Because of this, Christiansborg Palace is perhaps the royal attraction that has the most things to see. A combination ticket, priced at 150 DKK (€20), will grant you entry to the Royal Reception rooms, ruins, kitchen and stables. Despite the advertised opening hours (which I triple checked online) BOTH times I visited Christiansborg, it was closed!! There wasn’t even anyone around to tell me when the palace would actually be open. For this reason, I’d perhaps avoid pinning your hopes on a Christiansborg palace tour, especially if visiting in winter as I did! (Although I did get to see some Royal Horses training outside the palace, so my trip to the palace wasn’t a complete waste)! As mentioned above, Amalienborg Palace Cophenhagen is the current official residence of the Danish Royal family. 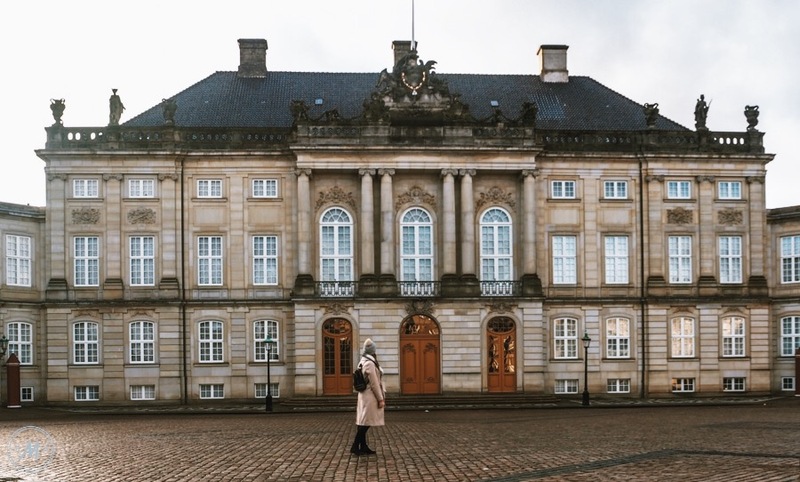 Totally unique to most other European palaces, Amalienborg Palace is actually made up of four identical buildings that surround an octagonal courtyard, the centrepiece of which is a statue of King Frederik V.
The classical facades of the buildings are simply beautiful. Whatsmore, there’s something magical about the symmetry and repetition of Amalienborg Palace, it certainly left me speechless! This building is home to the Amalienborg museum (Amalienborgmuseet) which can be toured for the very reasonable price of 75 DKK (€10). It comprises mostly of reproduced studies of the more recent Danish Kings. In this way, the museum is rather unique as it recreates the personal living spaces of Danish monarchs and shows off more recent decorative styles. Personally, however, I found the small rooms to be a little too crammed with artefacts. At times I didn’t quite know where to look! None the less, the museum is very interesting to visit, and its small size is great if you’re short on time in Copenhagen! 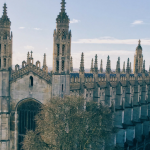 If you’re more prepared than I, you can book in advance to tour representation rooms in the ‘Christian VII’ building. 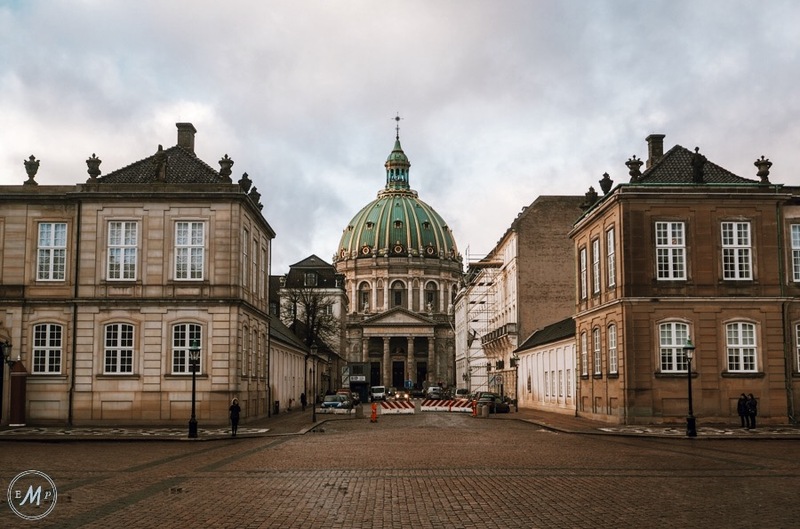 This Amalienborg palace tour is guided, and thus a little more expensive – prices start at 95 DKK. None the less, the price is more than worth it as you’ll see the palaces magnificent rococo style staterooms which make Amalienborg perhaps the most beautiful Danish royal palace. 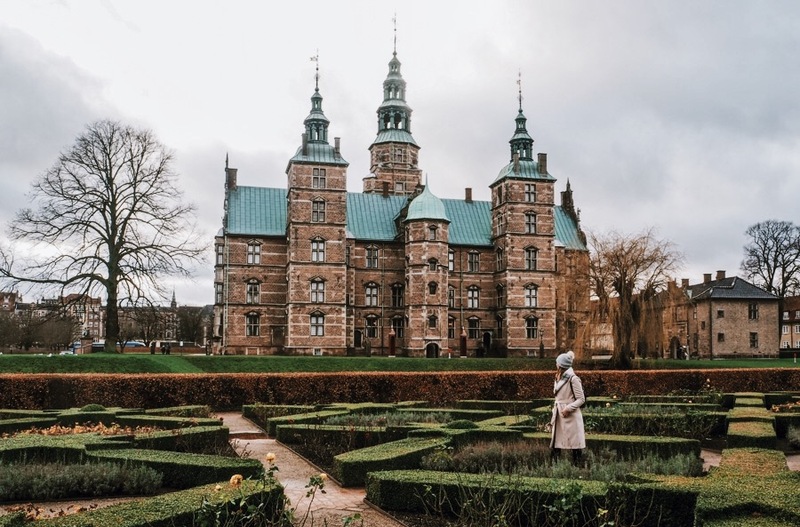 Differing from the other palaces in Copenhagen, Rosenborg Castle gives an insight into Denmark’s period of ‘Absolute Monarchy’ between the 17th and 19th century. Built in the early 1600’s, by Christian IV, Rosenborg Castle is a fantastic display of Dutch Renaissance architecture, meaning its exterior very much reminded me of a Disney castle! The Rosenborg Castle entrance fee is 110 DKK. For this price you can tour the castles well-preserved royal rooms that are a celebration of the pomp and pageantry of the period – even if they are a little too overpowering for my taste! Among the main attractions is the Knights’ Hall (which contains the coronation thrones and three life-size silver lions). The Rosenborg Castle gardens are also beautiful and the perfect place to stop for a picnic in summer months, or to simply walk through. In this way, if you’re looking for a Unique Copenhagen Castle, then I think Rosenborg takes the edge! 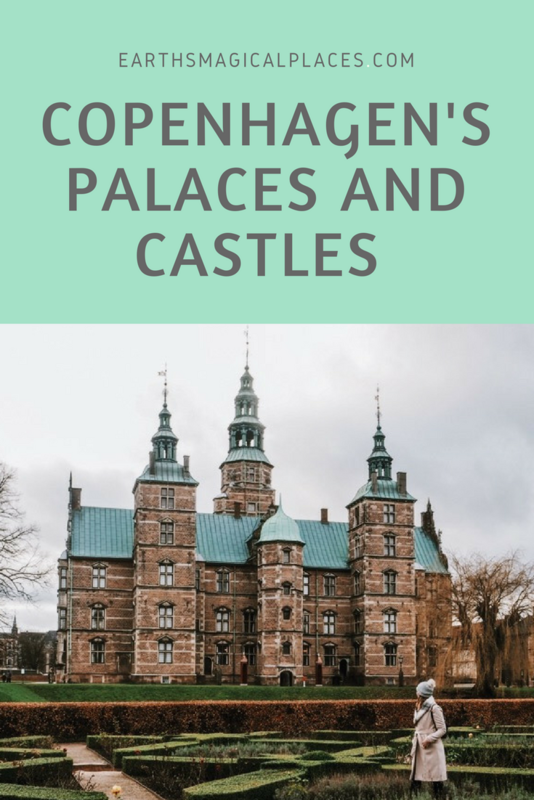 I hope my quick analysis of Christiansborg Palace, Amalienborg Palace and Rosenborg Castle Copenhagen, helps you choose which of Copenhagen’s Castles to visit! Personally, I’d put Amalienborg palace forward as the top Copenhagen Castle. As it has the most impressive rooms, plus it’s not every day you get to visit a Royal home still in use. This said, you’d be silly not to take a quick walk past the stunning Rosenborg castle, even if just to take in its fairy-tale exterior. 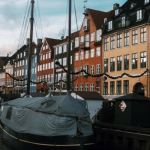 Looking for more information on Copenhagen? 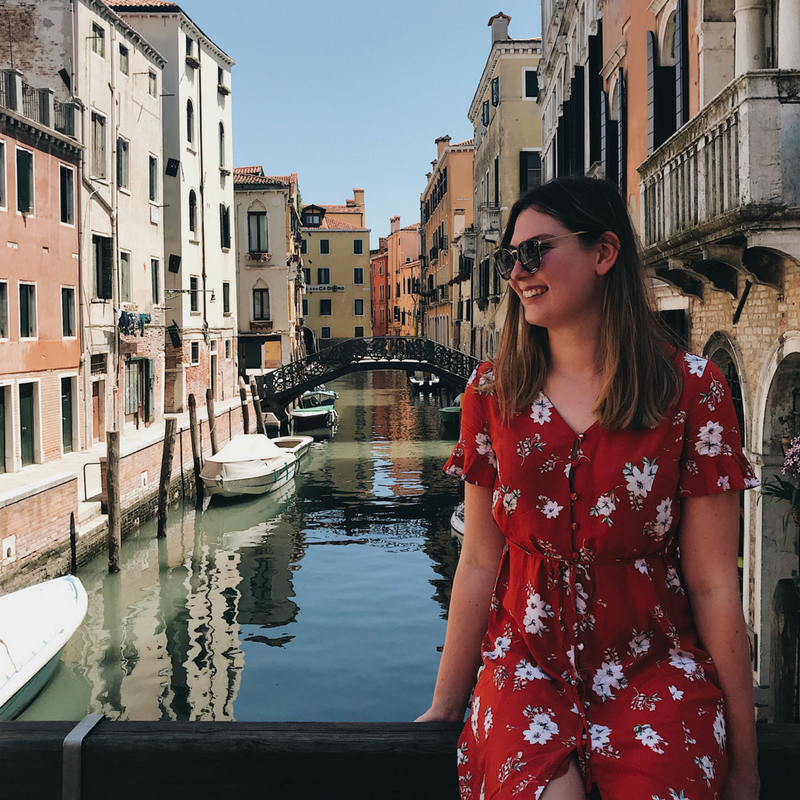 CHECK OUT MY GUIDE OF THE TOP THINGS TO DO! PS: Rosenburg’s gardens are free to visit, are they? Copenhagen reminds me of German cities. Admiring architecture and exploring monuments is our favourite thing to do while travelling and I wouldn’t like to miss any of these. I do love the look of the Rosenborg Castle- you’re right, it does look like a Disney castle! I think we would be more into Rosenberg as it looks more medieval and like a palace. I had no idea that the danish monarchy is amongst the oldest in the world. We really enjoy touring gardens as well. 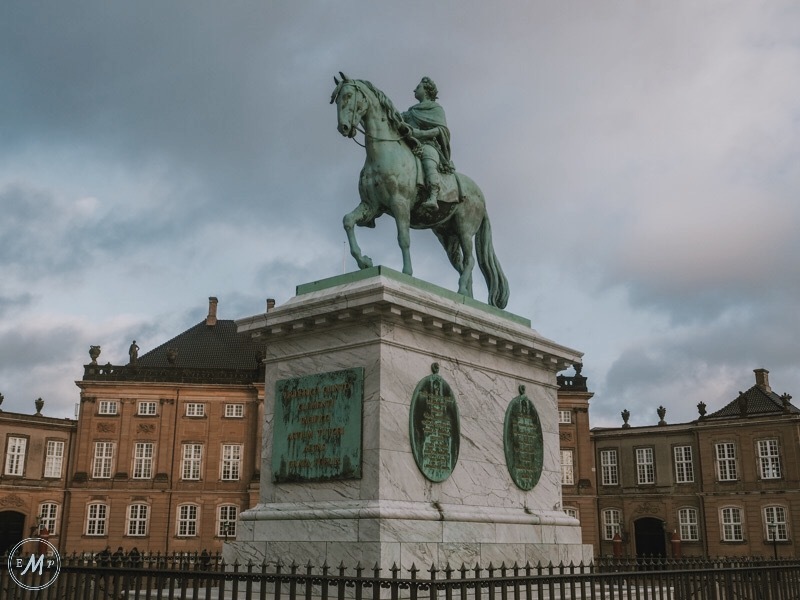 I like the statue of king Fredrick V. Hopefully we can visit Copenhagen some day. I like Rosenberg Castle best. It looks different with its architecture style. Others, in my opinion, look just like any other buildings around Europe. Thank you for the review. So, whenever we get a chance to go to Denmark, I know which palace that needs to be put in the itinerary. Wow! All three of these royal palaces look absolutely mind blowing! But, I must admit the Rosenburg Castle would be my top pick. I’ve never been to Disneyland (sad, I know), but from what I’ve seen online, the resemblance is definitely there. Love those gardens, too! Your analysis has made me more speechless. I can’t seem to favorite any of the royal houses. But I know Copenhagen must feel royal and magical, I mean what city has many royal houses. Visiting these royal houses would take me back to ages of strict monarchy and it’ll be nice to see in motion what it was like back then. Wow, I didn’t know about these attractions. For a long time I have been wanting to visit Copenhagen. These kind of places are something I would absolutely enjoy. I should bookmark this for my future travel plans. These are all very cool! Christian VIII palace would be my favorite, I Think because I like that they recreate the living space. I’m always intrigued by those things. 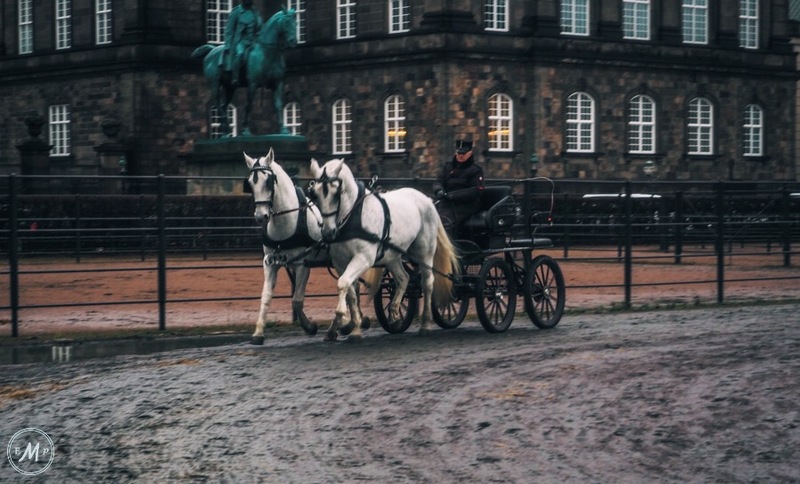 Too bad the stables were closed at Christiansborg Palace. They should update their website! Nice photos and very amazing castles. Thanks for the descriptions of what each offers to help travelers who are short on visit time!